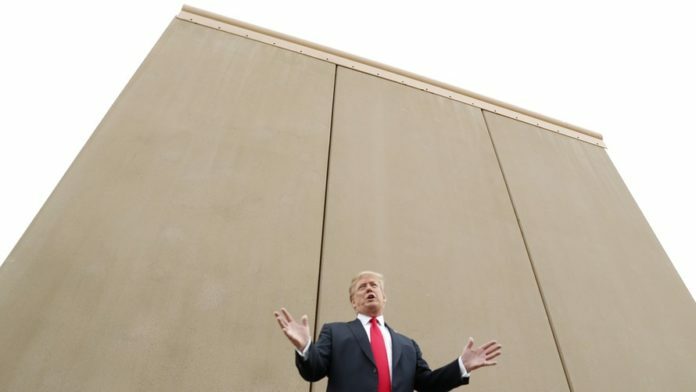 President Donald Trump is back to fear mongering to justify building his vanity wall, this time frantically panicking about 42 million Latinos wanting to move to the United States in the future. In a recent survey asking all 450 million adults who live in Latin America, Gallup found that 42 million of them would like to move to the United States, with only five million saying that they any notion or plan to move here. In response to hearing about the poll, Trump used the figures to argue for his wall in a Twitter rant that included an attack on Democrats and accusing them of wanting another government shutdown. The problem is that Trump apparently thinks all 42 million Latinos are moving here all at once and that they are all supposedly going to cross the border illegally to do it. But the poll did not ask how any of these people are going to cross the border, only if they want to move here. People around the globe want to move somewhere else, that doesn’t mean they are going to do it. For instance, I would love to move to Maine or Massachusetts, but I currently cannot do so and that’s why I still live in Missouri. The insinuation that all 42 million Latinos are going to cross the border illegally is insulting. But many of them will likely claim asylum and cross through legal ports of entry. A wall is not going to stop that unless what Trump really wants is to seal the whole border to prevent brown people from coming to live here. And Gallup was talking about an open border scenario that might accelerate their plans. But we don’t have open borders, which would mean no checkpoints and no border patrol and no barriers. The border currently has all three and border crossings are more tightly controlled than ever before, resulting in low illegal immigration. Plus, Democrats are not even proposing open borders. They want to increase technology and personnel at the border rather than waste money on a wall that won’t work and will be a logistical nightmare to build. The fact is that a majority of Americans oppose Trump’s wall, and more fear mongering is not going to change their minds.